The reality of student loan debt is that you would be hard pressed to find a person in these United States who does not have student loan debt, isn’t related to someone struggling with student loan debt, or isn’t a friend of a person of some friend with a lot of student loans. At one time student loan debt was confined to the young, who grasped for higher education without the family financial support needed to avoid debt. Now, it can apply to parents who take out “Parent Plus Loans” and even grandparents who attempt to help grandchildren or family members who are reaching for that cherished sheepskin. It can plague an individual from their late teens, if they drop out of school with debt early, until retirement and in some cases their social security can be garnished. Your age, ethnicity, accomplishments, and good intentions have no bearing on reducing the weight of the loans. In a nutshell, this information is important because it can either help you or help you help someone else. Be a resource for your friends and family. They will thank you one day for pointing them in the right direction. So what is this information? Well, this is to tell you it is coming. Why am I telling you that it is coming? Because over the next few weeks the blog topics will be on student loan debt exclusively. I warn you of this because most are used to our primary focus being bankruptcy. We are still doing bankruptcy but have realized that about one out of every two of our clients have student loan debt. Some are managing it. Some are not. There were enough that are not that we have decided to help. Will we be able to do miracles? Some might think so – but not magic. We can’t make the student loans disappear over night. What we can do is manage out of existence. What do I mean by managing? I mean keeping the payments as low as possible, keeping them in good status, and keeping the clock ticking until you qualify to have the remaining balance forgiven. So why is “managing” necessary. Good question. First, you need to know how to keep the clock ticking even when you are in a financial crisis meaning you have zero money to put towards your loans. We can help with that. Second, life changes. Income goes up and down. Babies are born. Expenses change. You have to “manage” through these periods, preferably with the lowest payment. Third, there are things that are more important than paying your student loans (I dont mean you stop paying them). Buying a house, saving for retirement, having insurance, etc. Am I saying you shouldn’t pay your student loans in order to have these things. NO. NO. NO. What I am saying is you can do both if your student loans are managed properly. Don’t fall for the teaser ads on TV. “WIPEOUT YOUR STUDENT LOANS BEFORE THIS GOVERNMENT PROGRAM EXPIRES!” There are no expiring programs. At least none that will help you. Student loan management is complicated, intricate, and time consuming. Tell your friend, family, or self that it is worth the price of having a student loan lawyer at a minimum review your current situation if not become a guide. 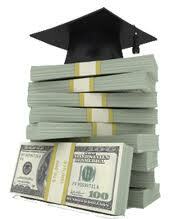 Send your friends with student loan debt to the financial analysis link below. Let them decide if it makes sense. I hope you find the coming blogs to be informative and I thank you for reading.